Make a Floor Plan that works for you! Not every floor plan is designed to flow perfectly from one room to the next. Whether it's a lack of an entry way, a long and narrow space, a small area, or a room surrounded by doors and hallways, you can find yourself feeling like nothing short of a remodel can alleviate your woes. If you learn to maximize your space's functionality, you can create a contractor-free solution to living in your awkward floor plan. Start with identifying what purpose the space will serve – conversation, entertainment, receiving area, etc. After you set a goal of how you'll use the space, then it's time to navigate your layout and map out how you will flow through the space. You might not create the widest or straightest path, but you can plan a route that doesn't take you in circles just to get to the nearest door. Design tip: If your space is crowded, opt for a round table. We use round coffee tables for easy pathways in the living room! 2. 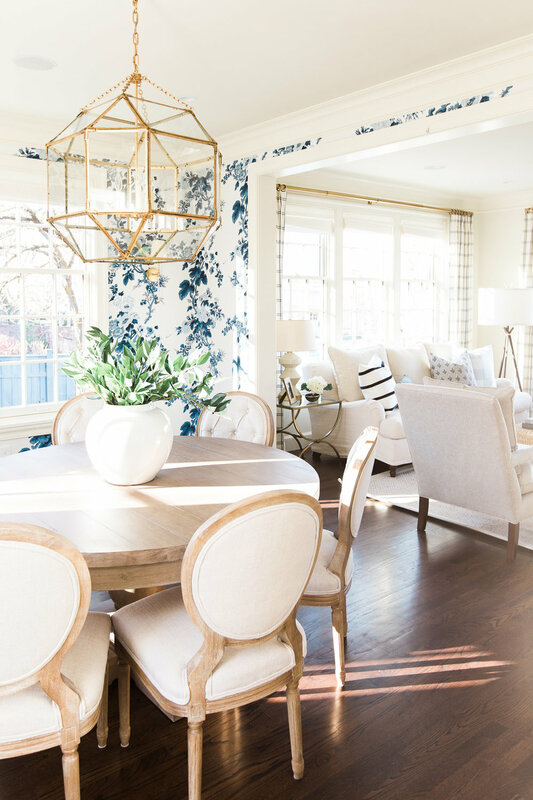 "When in doubt, tape it out"
Picking the right furniture is more than just choosing pieces you liked on Pinterest — if it doesn't fit your space, it won't work. Measure your furniture (or what you're planning on purchasing) and tape it out on the floor to see how it feels in the space. Aim for balance above symmetry and remember to think of how your room will function. You might think skipping coffee or end tables to save space is a good idea, but you're still going to have to figure out where to put your drink! Design Tip: Get the right size rug for your space! It anchors your furniture. If you don't need an extra surface for drinks and decor, use a floor lamp for a streamlined look! You want to achieve that "wow" factor every time you enter a room. Your space might look great when you open your front door, but how does it look on the way back from the hallway? Make sure it's gorgeous from all directions — It's as simple as throwing a blanket over the back of a couch, styling with plants, and adding artwork. You might not have the luxury of fitting in everything you want into your space. However, you can use items with more than one function so you have everything you need. An ottoman can be an extra seat for guests, turned into a coffee table with a tray, or become a footstool when you're watching a movie. Stools and poofs can be used as end tables or seating. Design Tip: we used the Penn Coffee Table in an upcoming webisode. The request was for a lot of seating and a spot to put your feet up. This table was perfect for that! We just added a tray for extra space for drinks!